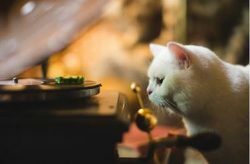 Well, well, well, who knew that over a third of cats across the globe display an irrational fear of cucumbers. 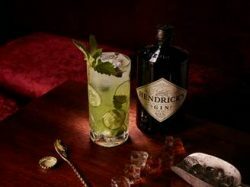 Thank goodness for Hendrick’s Gin then who have stepped in to ensure harmony is restored ahead of World Cucumber Day on 14th June 2016. Method: Combine Gin, lemon, elderflower and catnip in base of tall glass and muddle. Add ice, cucumber, apple juice and churn. Add more ice, top with soda and garnish with a cucumber wedge and catnip sprig.